Do you want to be part of Sustainable Development? 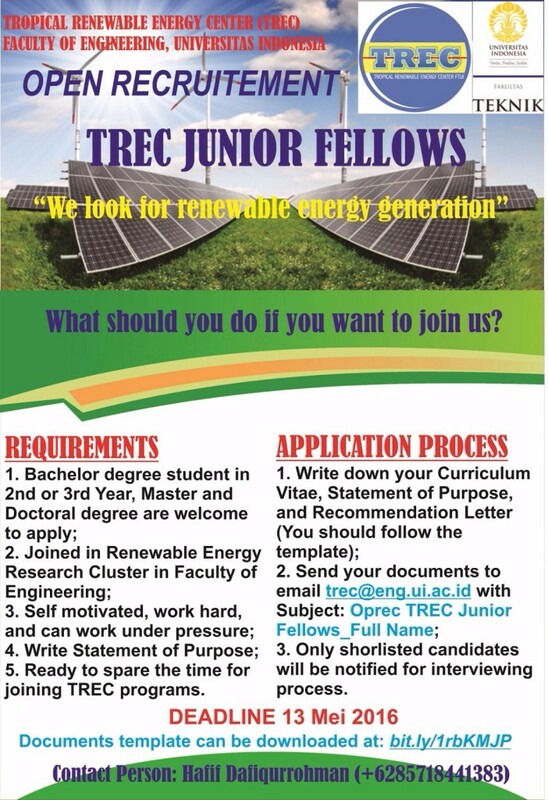 Now, TREC FTUI give you chance to be part of TREC Junior Fellows. TREC Junior Fellows are student research program and follow TREC programs, like seminar, workshop, international conference, field trip, and many sustainable energy research for Tropical Area. If you match the requirements (attached in poster), you should to apply this program.